Couple R. and A. Pelletier, professional, full time working parents of three were looking for a new home to fit their growing family. They were ready to build. 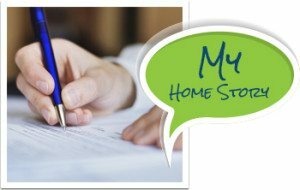 But the hurdles seemed insurmountable: listing agent to sell their current house, buyer’s agent to help them find land, purchase and sale negotiations, contracts, permits, general contractors, builders. The number of companies to research and people to hire was overwhelming – not to mention the financing of every piece of the puzzle. 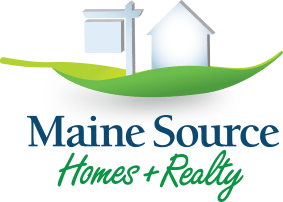 Then they found Maine Source Homes & Realty. The Pelletiers first met with Jon Mercier – a realtor with lending savvy and a dogged commitment to helping his clients get the best deal possible. Jon spent time with Mr. & Mrs. Pelletier getting to know the couple and what they wanted. After a complete market analysis, Jon confirmed that he could sell their house, and he suggested a fair listing price. The Pelletiers put their house on the market. Jon worked to sell it. And sell it he did. The next step was determining whether the sale of the Pelletiers’ house could approximately match the price of the new house they wanted to build. Enter Maine Source team member Mark Turner. An expert project manager who’s never met a schedule he couldn’t keep, Mark worked with the Pelletiers to determine a quote on a new modular home – a high-end, custom home with an open concept, cathedral ceilings and all the add-ons and design features the Pelletiers needed and wanted. 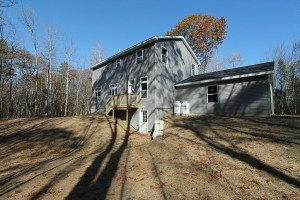 Mark walked the couple through every step of the construction process and made sure the house Maine Source would build matched what the Pelletiers were able to spend. But where would the house be built? Maine Source took on and managed yet another step in the couple’s home-ownership process. The team went out in search of land. The company’s founder and owner, Bill Turner lent his expertise in land development. Not only does Bill have relationships with landowners and sellers all over Central Maine, but he also knows soils, what land is buildable, and what isn’t. Bill, Mark and Jon found the perfect property for the Pelletiers. Based on an analysis of the soil, Bill determined where on the lot the home would be built and what the basement capabilities would be. 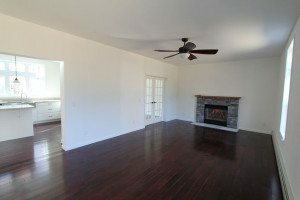 They negotiated the purchase and sale, and with permits in hand, they were ready to start building. The efficiency and quality of modular home construction meant that the Pelletiers’ house was built on time and on budget. 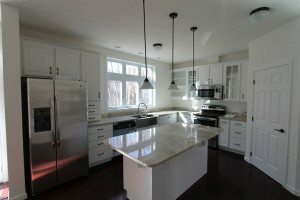 The countless options for customization meant they could develop custom windows to enhance their private property views and design a custom kitchen from scratch. They also adjusted the master bedroom floor plan for a smaller bathroom but much larger closet area for the both of them. The rest of the floor plan was also adjusted to allow for a kids’ playroom that could be closed for privacy. “Team members Jon and Mark were dedicated, understanding and patient. They were genuine and interested in our project,” described A. Pelletier of her experience with Maine Source. When all was said and done, the process was easy and seamless. The Pelletiers sold their house, found a beautiful piece of property, and built the right home for their family. Little did they know that when they hired Maine Source, they hired an entire team who makes it their job to get people exactly what they want.